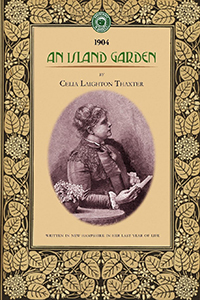 Celia Laighton Thaxter (1835-1894) was born in Portsmouth, NH. 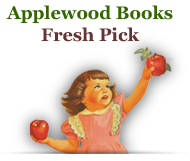 When she was four, her father became the lighthouse keeper on White Island in the Isles of Shoals. After resigning his post eight years later, he built a resort hotel on Appledore Island in Maine. The first of its kind on the New England coast, the hotel became a gathering place for writers and artists during the latter half of the 19th century. 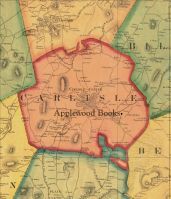 In her last year of life, Celia published this work, in which she lovingly describes her Appledore garden and its flowers. The flowers she grew in her cutting garden filled her own rooms and those of the hotel, and this work became famous for its descriptions of the old-fashioned flowers she grew there. Her island garden, a plot that measured 15 feet square, has been re-created and is open to visitors.